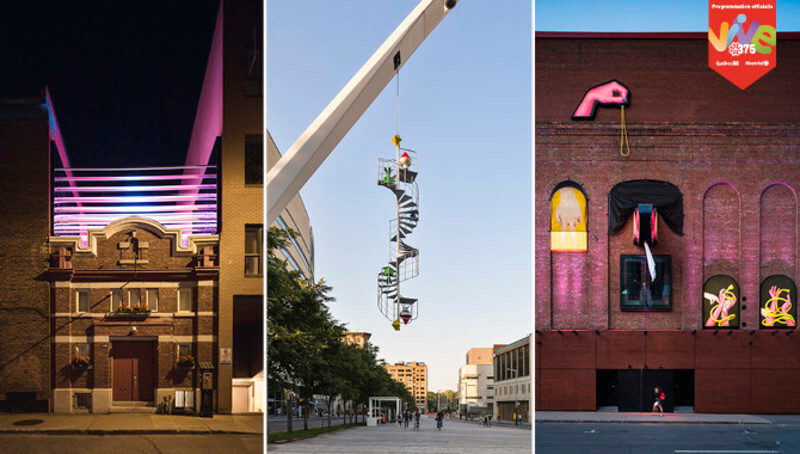 After its first full year, the Quartier des Spectacles Partnership’s program for the export of its public art installations is a clear success: to date, six works produced and premiered in Montreal have been presented in 20 cities at 25 cultural events and festivals, and have been seen by millions of people in North America, Europe and the Middle East. 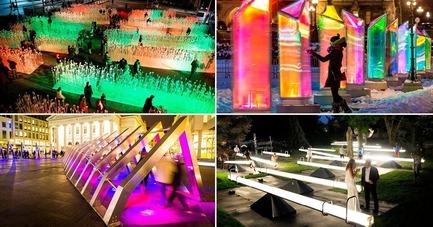 For the last year, installations produced by the Partnership, whether based on light, sound, participation or interaction, have been entertaining audiences in the world’s great capitals and cultural events. Their export helps extend the life of the works, raises their creators’ profile and serves as an exceptional platform for showcasing Montreal, UNESCO City of Design, contributing to the city’s emergence as a global capital of digital art and creativity. 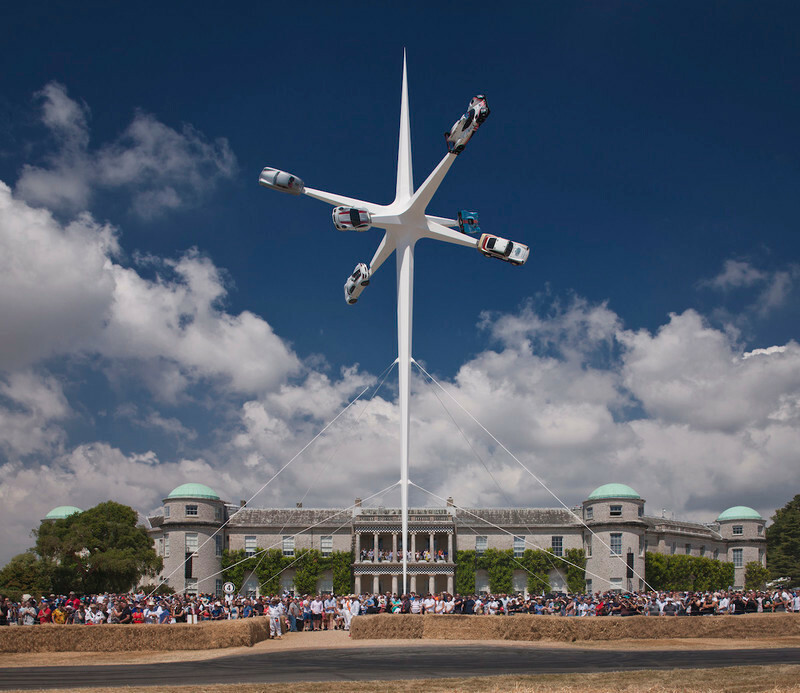 Impulse is a fine example of international appreciation, having been immensely successful in London, Chicago, Brussels and Lugano, followed by stops in ten more large European, American and Canadian cities. 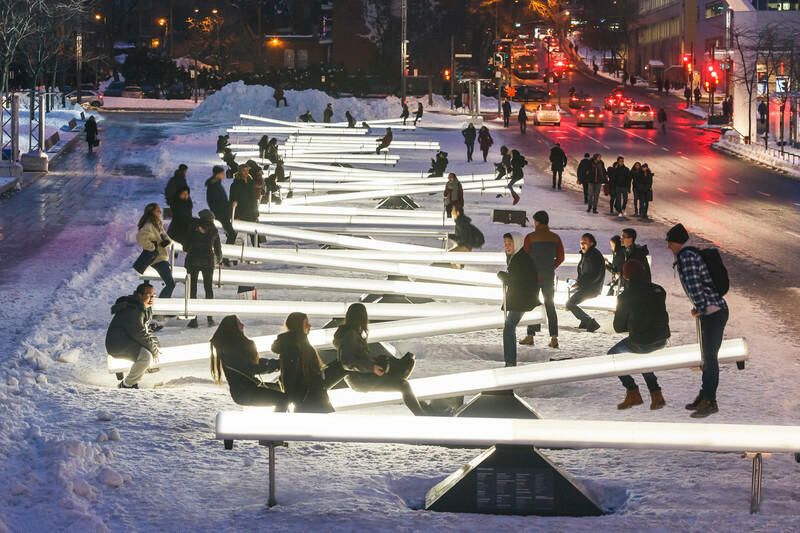 After its world tour, the installation comprising a series of illuminated, sound-producing seesaws, created by Lateral Office and CS Design, will return to the Place des Festivals in the Quartier des Spectacles this November 30 until January 28, 2018. 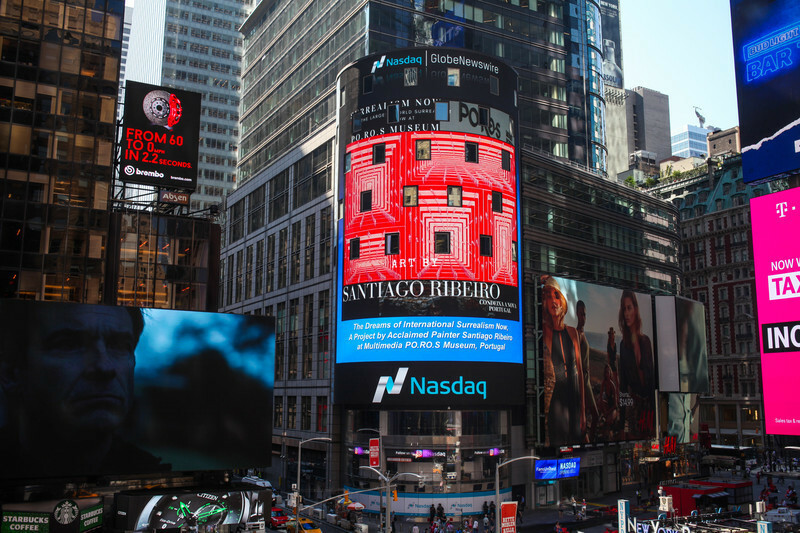 A year after the Partnership launched the new program, every work currently offered for export is now on display in another city: Loop in Lugano, Iceberg and Îlot de chaleur in Detroit, Prismatica in Scottsdale and Niagara Falls, Entre les rangs for a second time in Durham, England, and Impulse, in the cities listed below. The Partnership now plans to step up the production of works created and premiered in Montreal before being offered for export, helping meet growing demand. 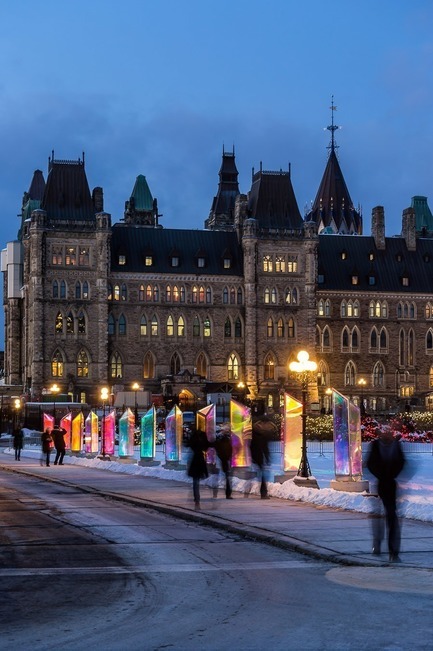 The organization is therefore working to develop new business models and is seeking new financial partners to spur investment in the creation of participatory public art installations. The launch of new projects would help Montreal-based creators benefit from spinoffs and recognition through the presentation of their works around the world. 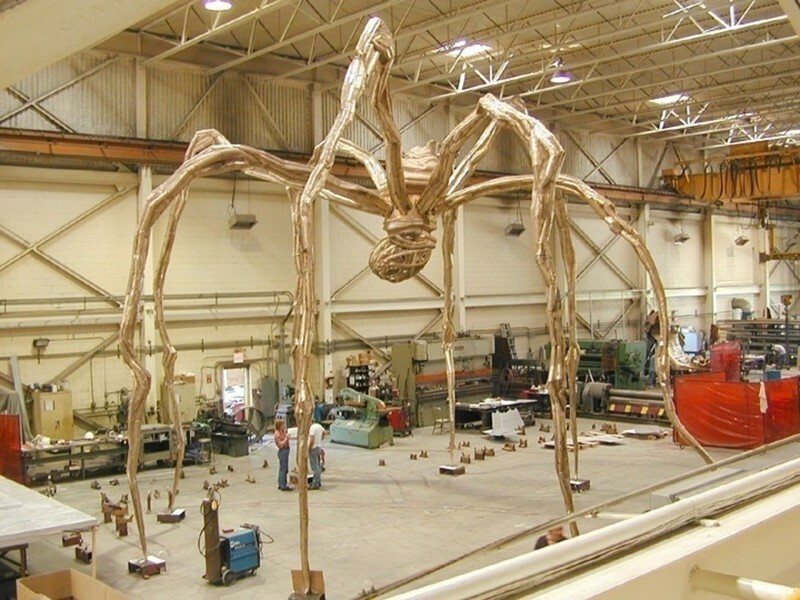 Increased production of new works will also attract creators who have not yet explored the design of installations or public artworks. 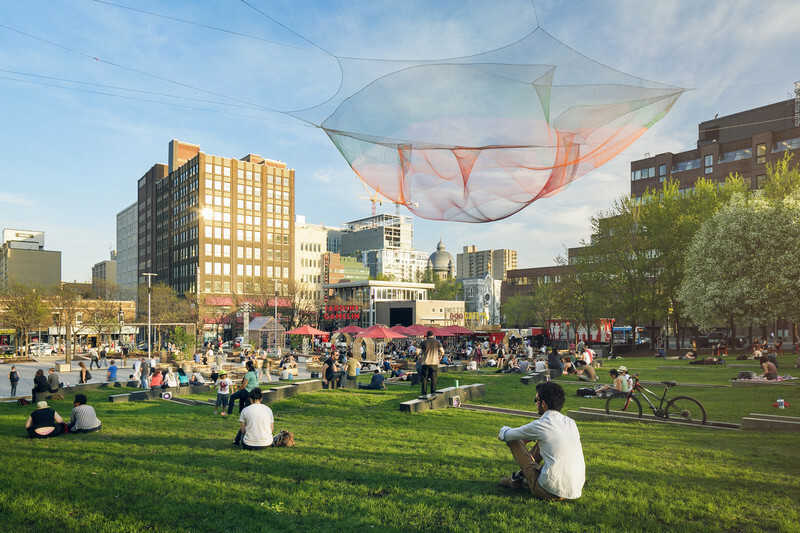 The goal is to stimulate the creation and exhibition of original works that give a range of audiences compelling experiences that transform their relationship with the city. 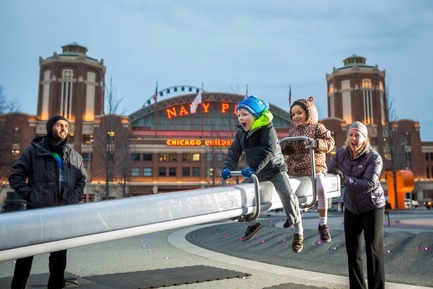 “In urban planning and public administration circles in many cultural capitals, there is now a strong desire to rethink the city and create livelier, more playful spaces that offer more opportunities for people to interact, meet and share experiences. 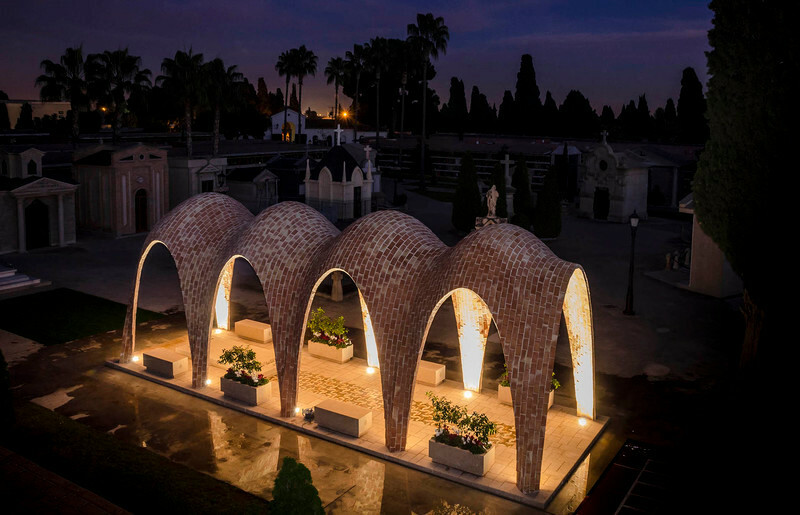 The Partnership’s export program has already demonstrated its soundness and relevance as a catalyst for that type of encounter between residents, art and urban space,” said Rami Bebawi, architect with KANVA architecture. 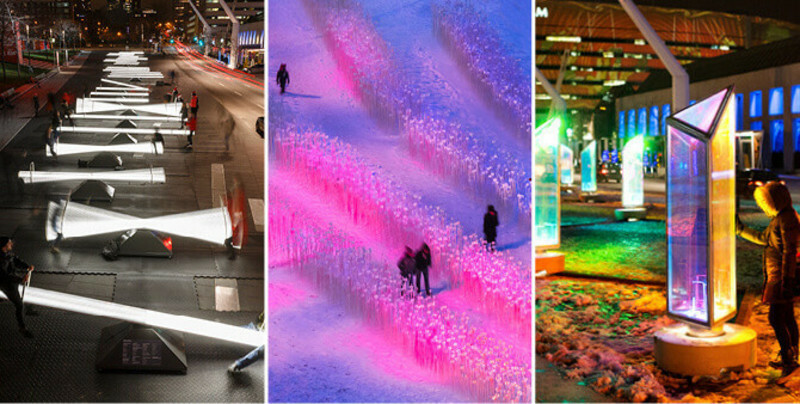 The Partnership’s expertise in animating public spaces has grown considerably over the years. 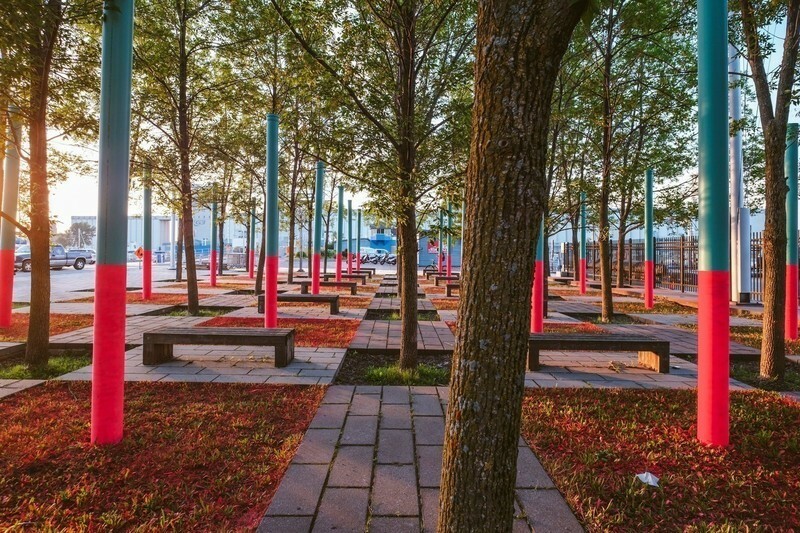 The process began with Luminothérapie in 2010, and continued with subsequent events such as Espace commun, Mégaphone and this year’s public art walk, KM3. 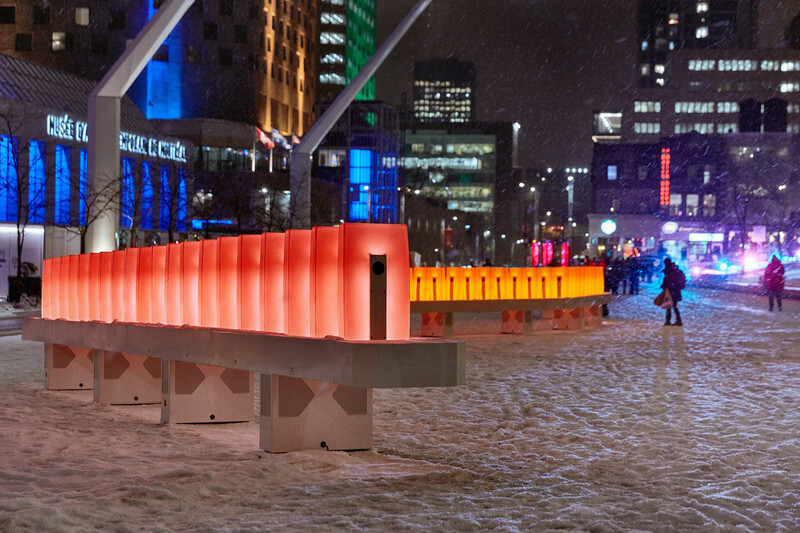 The idea of exporting the Quartier des Spectacles’ works emerged when the city of Brussels approached the Partnership to present an immersive installation from Luminothérapie during the 12th annual Plaisir d’Hiver winter festival in 2013. As a result, the first work to be exported was Iceberg by ATOMIC3. 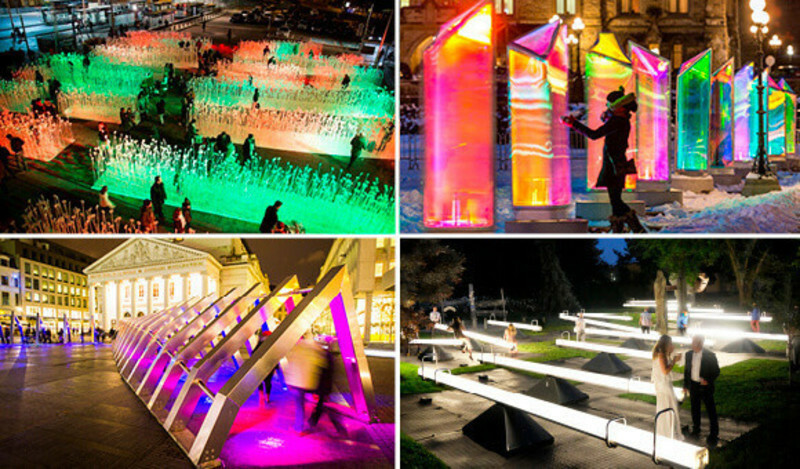 The work, which invites the public to explore the life cycle of an iceberg, was a great success in Brussels. 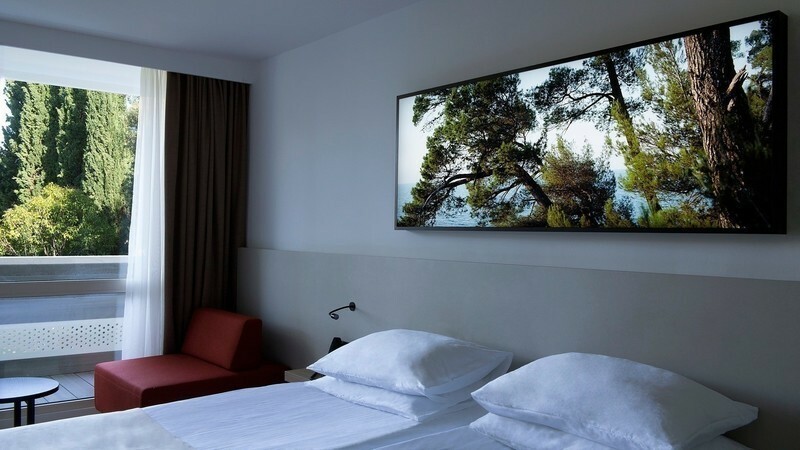 Then, members of the Global Cultural Districts Network, having observed the Quartier des Spectacles’ animation work with great interest, requested the opportunity to host various works. To implement and oversee the export of its works, the Partnership retained the services of the CREOS firm, following a call for tenders. 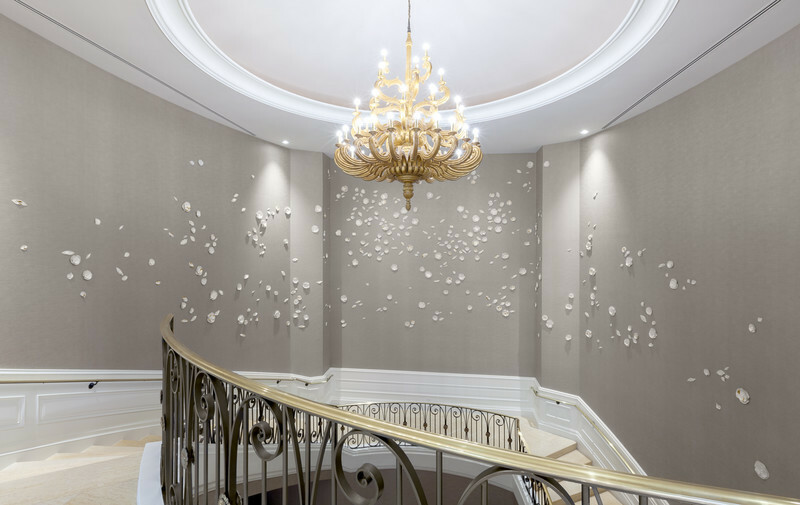 Because the Partnership is a non-profit organization, all profits from the export of the works are reinvested in programming, contributing to the creation of new works. 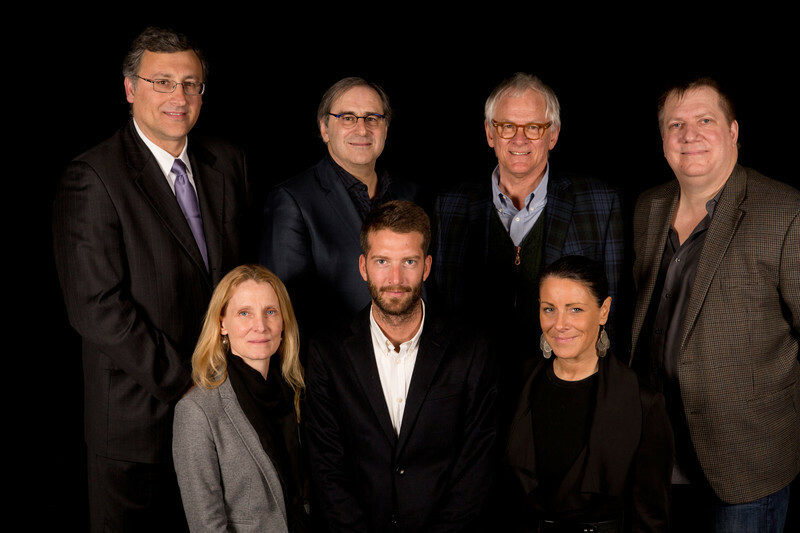 The Quartier des Spectacles Partnership’s productions are recognized for their quality and ability to spark the interest of a diverse audience, thanks especially to their participatory nature and their universal and inclusive themes. The Partnership’s works are highly appreciated by citizens because they create opportunities to meet and share; they also help build the kind of relationship cities want to build with their residents. 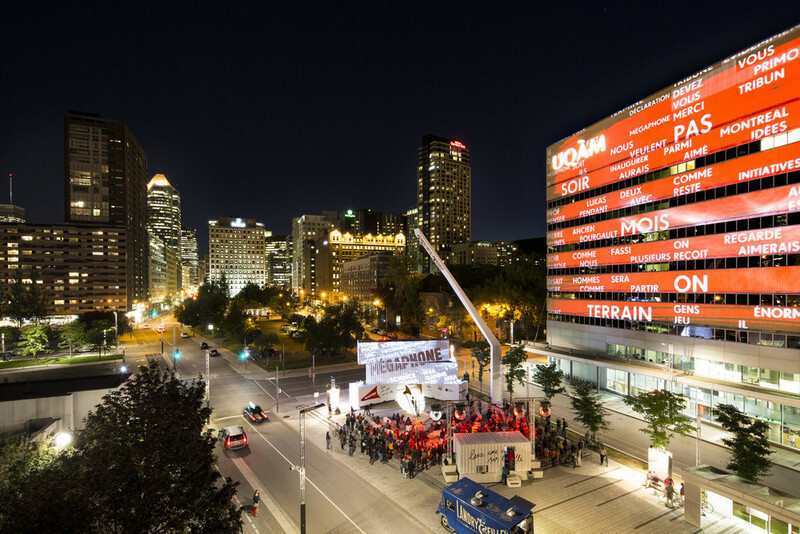 Productions of Quartier des Spectacles Partnership. 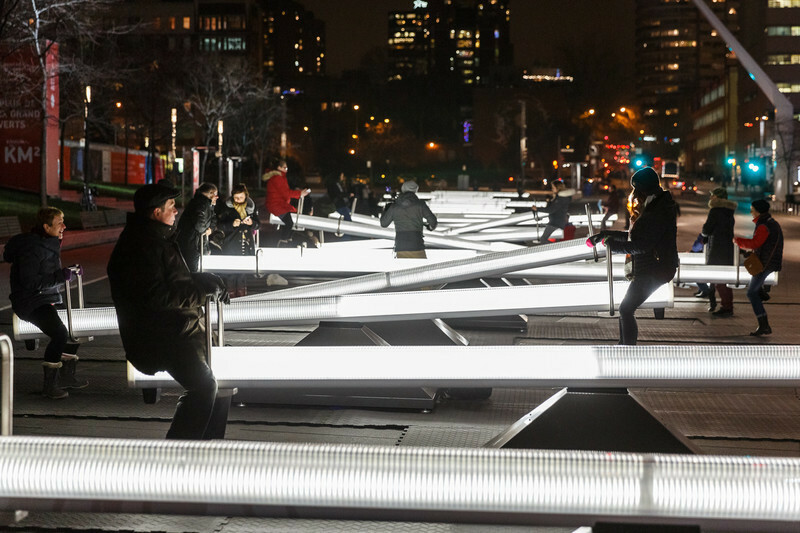 The Quartier des Spectacles Partnership, founded in 2003, is a non-profit organization that manages, animates and illuminates public spaces in the Quartier des Spectacles, and promotes the district as a must-visit cultural destination. 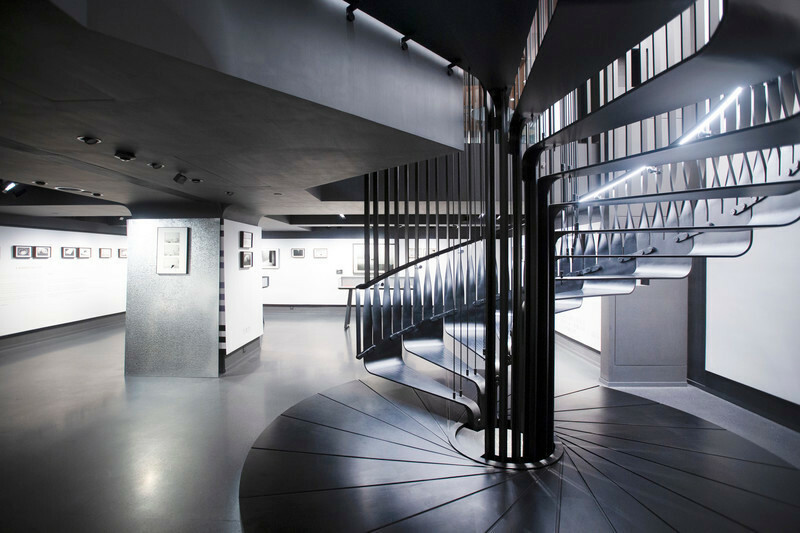 It hosts, produces and exhibits innovative installations involving cutting-edge lighting design, immersive environments and interactive digital spaces. 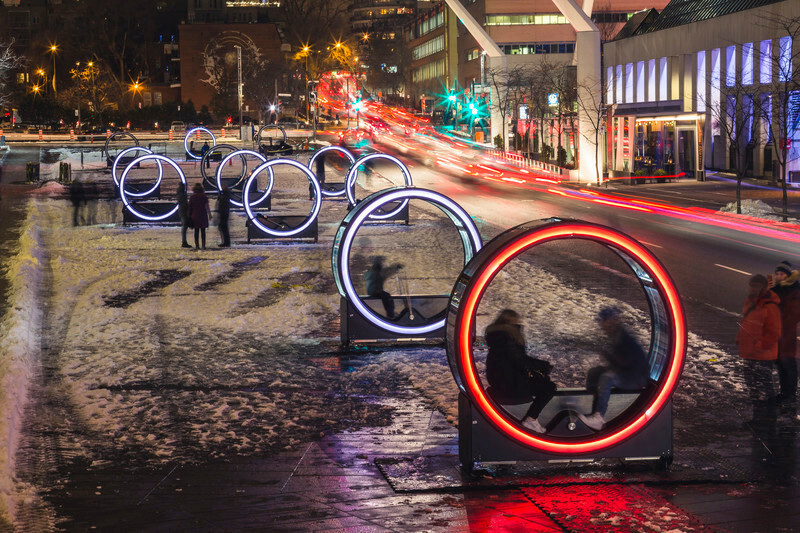 As a showcase for new multimedia technologies, the Quartier des Spectacles positions Montreal as a global leader in the exhibition of digital content in urban settings. 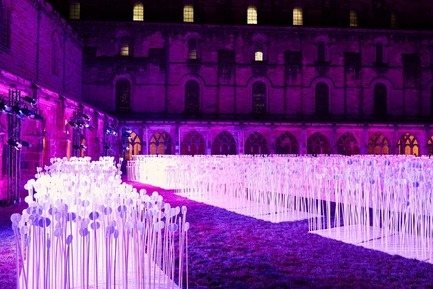 The Partnership is a member of several international networks, including the Connecting Cities Network, Lighting Urban Community International (LUCI) and the Global Cultural Districts Network. 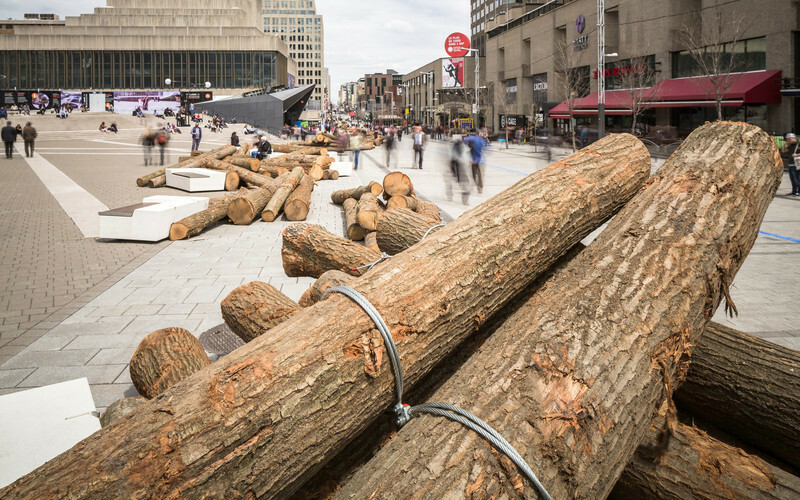 It is supported by the Ville de Montréal and the Secrétariat à la région métropolitaine of the Ministère des Affaires municipales et de l’Occupation du territoire.